Any progress is good progress…. and had lots of fun putting together the first of many granny squares. 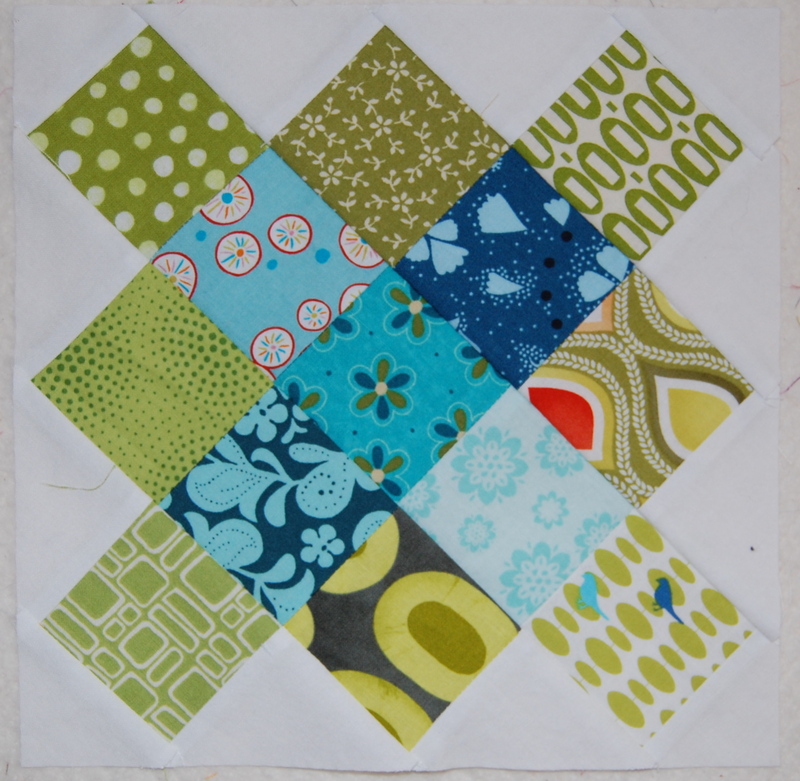 I’ve been wanting to try something new and work on some actual blocks this year. When I saw this quilt, I knew this was the one I had to start with. I think it’s so cute and yummy AND I get to use up lots of my scraps!!! I have a little work to do if I want squares to line up just so, but eh, I figure after about 35 of these I’ll be pretty good at that. My plan is to make these into a twin size bed quilt for my oldest daughter. 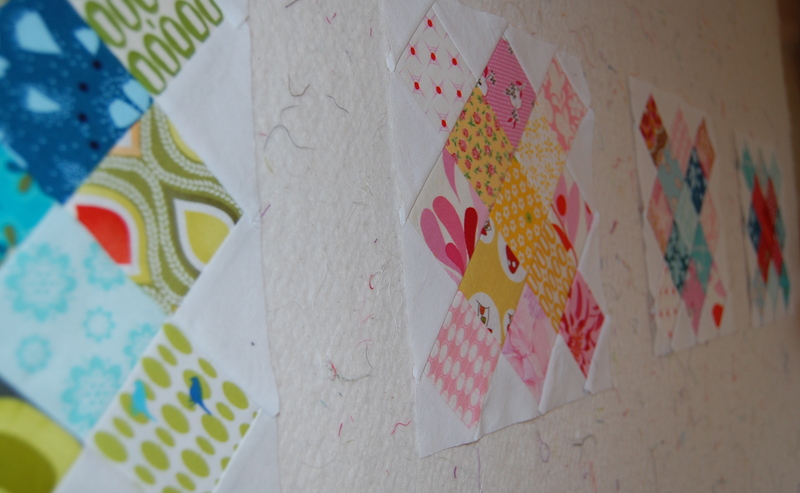 She has been having fun putting squares together on the design wall as I work. I also got to make some small progress(what else am I going to do while watching the Oscars-Yay for The Artist!!) on my Ptarmigan Neckwarmer. 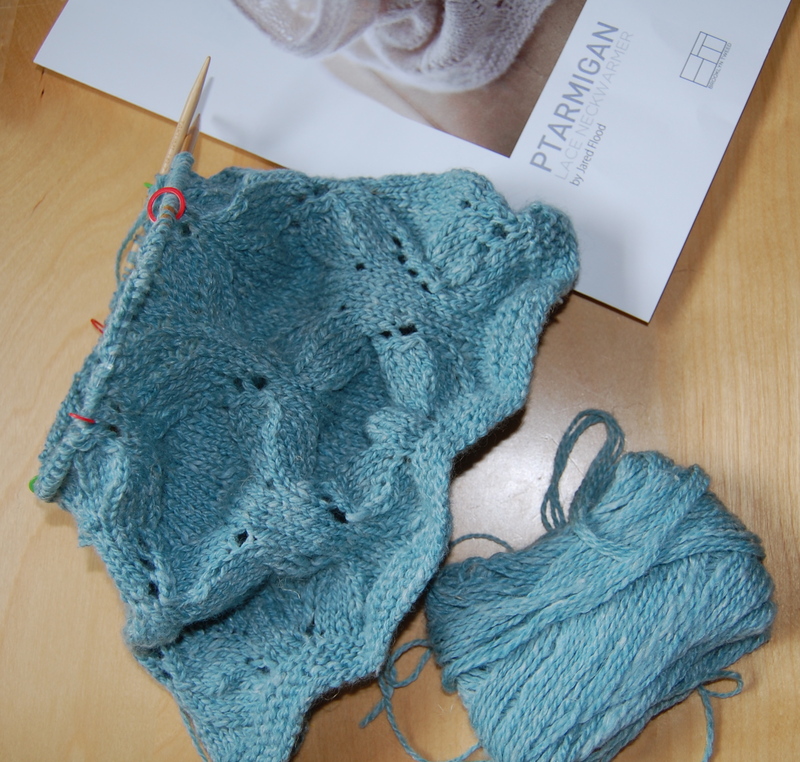 This is my first pattern based knitting project where I need to consult a chart. It’s challenging, but much less intimidating than I thought. I am almost done and can’t wait to start on another one!! Looks great, I can hardly wait, looks like you’ve found your groove! Yeh for Moms! 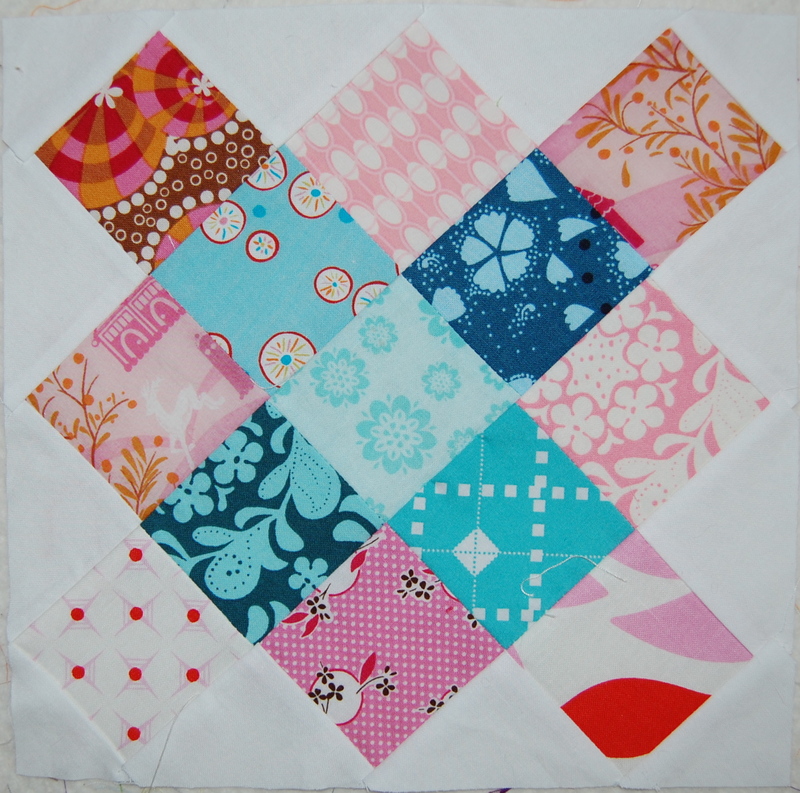 The quilts are so beautiful and the bold colours really pop. I love that you have set them again a white background – looks fantastic. 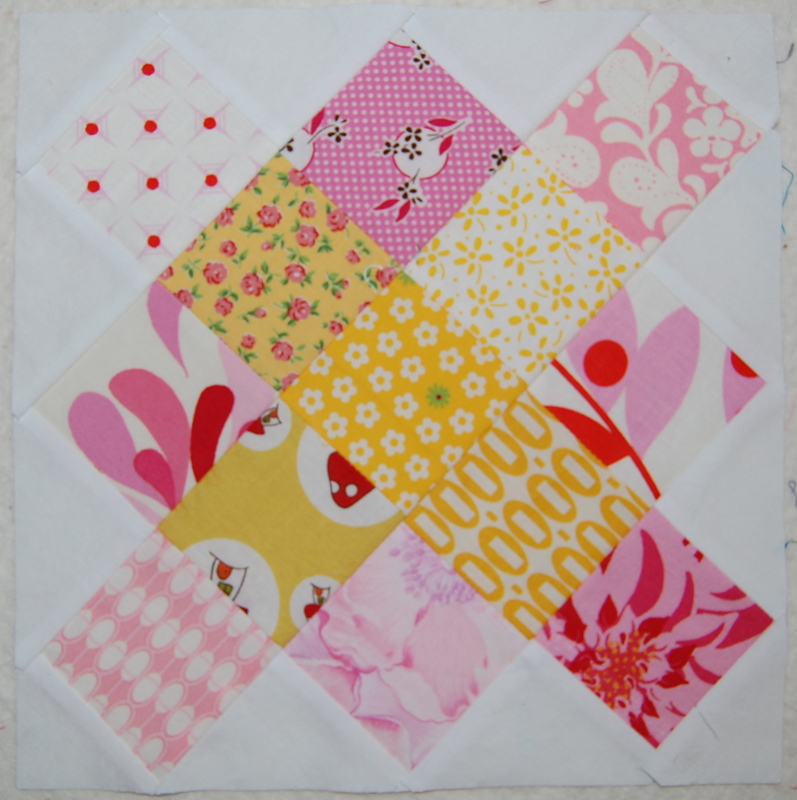 Can’t wait to see the finished quilt. The knit looks really good as well. Tricky though – but your workmanship is excellent! golly! what is the yarn you are using for the neckwarmer? it looks luscious!